I am sure of all four of those, especially #2, which, admittedly, could be a key driver for the other three...... I do not miss desserts and I have come to love nothing but cream and butter in my coffee. Being off sugar has a transformative effect. But I am still far from a low-carb runner. That said, I eat way fewer carbs than the average American (and probably the average runner). I have found that, as my carb intake has dropped, I crave fat, which makes sense because it's the body's preferred fuel. It's hard to believe but in a little over three months I'll be at Squaw Valley Ski Resort getting ready to run 100 miles on the most storied ultra course on Planet Earth. The excitement is building. I have wanted this opportunity for over ten years and at one time in my life thought it might never come. My only regret is that this opportunity didn't come sooner, like when I was younger and a little more fleet-feeted. Then again, I was more immature in those years and might not have fully appreciated the experience. Bottom line: Western States is the gold standard and pinnacle for ultrarunners. 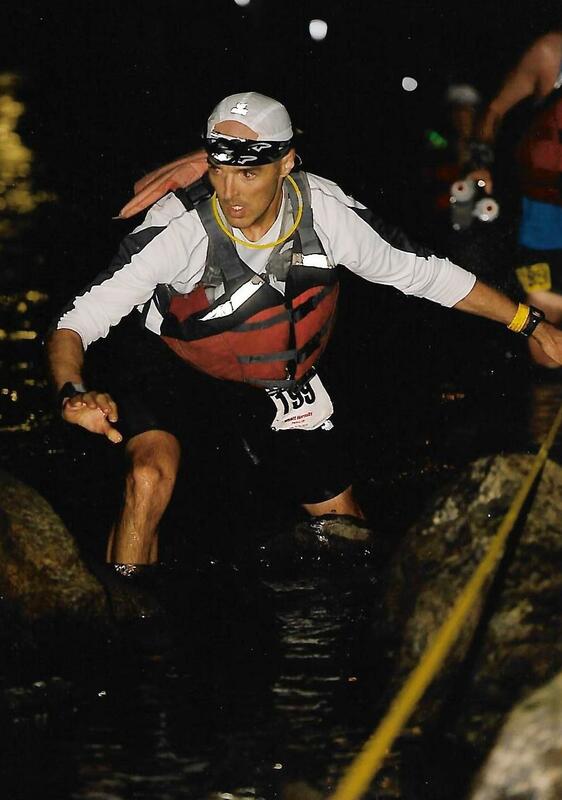 Pacing me at Western States will be Mike Wilkinson and Kenny McCleary. Kenny, who's in the 50-state marathon club and also has run a marathon in every Canadian province, paced me at Burning River in 2007 and Mohican in 2008 and 2009. He promised me years ago that he'd be there if I ever got into States and, sure enough, he's going to be there. Mike, an ultrarunner, has never run States but it's on his bucket list and this will be a great opportunity for him to see the course, experience the race, and help a buddy. I am grateful to both of them and to my wife, our son, and my parents, who will also be there. This past weekend, my wife and I watched "Desperate Dreams" (note: the YouTube page says 1982 but it's really 1983), a grainy documentary that chronicles the 1983 Western States 100. In that race, Jim King, 26, and Jim Howard, 29, battled it out until the bitter end. King reportedly went off course by an hour after leaving Red Star Ridge (it was a big snow year), losing his lead by several positions. Yet he managed to regain the lead only to lose it to Howard with a half-mile to go as the runners were at Robie Point with the Placer High School track only steps away (they both talk about it in this interview shot 30 years later by IRunFar.com). Howard won in 16:07 and King in 16:08. As the drama unfolded on screen, I kept thinking about "Unbreakable," which chronicles the 2010 race in which Geoff Roes overtook a seemingly indestructible Anton Krupicka before the Highway 49 crossing. As an aside, I've always thought it so sad Anton didn't get a win at States. He was entered into the 2008 race, which got canceled due to wildfires. As almost anyone would attest, that was the year Anton would have won States...only it was called off. Sad. Circling back to the two Jims, I would argue--and this is just my take--that guys like King and Howard would be just as good and probably better today. 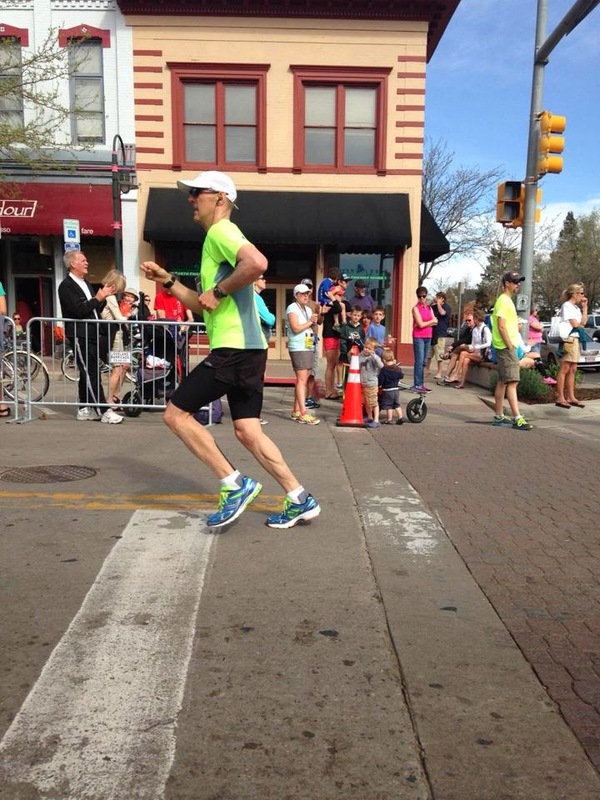 Howard was a 2:18 marathoner and ran a 2:32 marathon while in high school. 2:18 back in the early 1980s was smokin' fast. With modern technology, gear, etc., those guys would be dominant today. If you watch "Desperate Dreams," you'll know what I mean. King weighed about a buck thirty-six back then and his stride was smooth as silk. Western States has seen its fair share of drama. I still remember when Brian Morrison collapsed from exhaustion and dehydration on the track during the 2006 race, losing his win to disqualification. Last I heard, Morrison is returning to the 2016 race. Then you have Gunhild Swanson's crazy exciting finish last year. With spring in the air, it's hard to believe that in only three months, I, too, will be soaking in the experience and running that storied course. On the training front, all is falling into place. I'm gradually increasing my mileage and am at the place where I'm clicking off 70+ mile base-building weeks without much of an issue. Weekly hill repeats are now under way (this is the workout that seems to give me the biggest bounce). As this is Western States, the Super Bowl of Ultrarunning, I fully plan on being in the best shape of my life by race day. That will be a tall order because there have been some races in the past where I was clicking on all cylinders. But I'm certainly gunning for peak fitness going into States and I am willing to make the sacrifices to get there. 1) Getting the quads downhill ready. It sure would be nice if all the snow in the mountains would melt! 2) Being ready for the heat. There's a sauna with my name on it! I am confident I'll be ready in both regards. I also know that the better shape I'm in for Western States, the better my recovery will be so that I'm ready for Leadville 56 days later. If all goes to plan, I genuinely believe Western States will help, not hurt, me going into Leadville. My quads will be very strong after States. With those 56 days being about recovery, I'll also be well-rested going into Leadville. 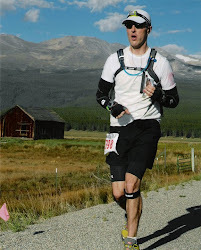 Plus, this will be my sixth Leadville, so I have experience and course knowledge on my side. I will place no pressure at Leadville on myself; if I need all 30 hours, that's OK. States will be a different story; I will want to run my best race possible, but at the same time I know how important it is to go into a race relaxed and confident. I hope your training is going well and that 2016 is your best year yet! Despite my best efforts not to mix my work with this blog, I can't help but share the video from an amazing event in Boulder where I presented. The event, "Liquid Sugar: Drinking Ourselves to Disease," was held at eTown and had some incredible speakers. My very short talk starts at about the 41-minute mark and is only about 8 minutes long. Check it out. All of the speakers were top-notch. I am definitely bald and need to just shave my head bare! I'm getting over a horrendous back injury that kept me from running a step for three days. Not sure what happened but on Monday morning I woke up and ran a few miles and did a lower-body workout. While making breakfast afterward, I could tell my back wasn't right. Soon afterward, I had trouble walking. Tuesday was horrendous--I literally could barely walk. Wednesday was slightly better but still awful. This morning, I was finally able to run but my back was still stiff and so my pace was slow. I decided I'd run only if I had no pain. The worst seems to be behind me. My best guess is that I sprained my back. Last weekend I did ski and do a few tricks--maybe that tweaked it and then the running and weights on Monday sent me over the edge. Not sure but this was a brutal injury and I'm so glad it's finally getting better. With that, what was supposed to be a good week, in which I wanted to get in 75 or more miles, is looking to be a total wash. That said, it's all good because the training has been solid so far this year. Western States and Leadville are fast-approaching and I'll be ready for them! The new policy was announced on WSER's Facebook page. Perusing the comments and reading other feedback, I was honestly blown away by some of the questions. Most folks commenting offered positive feedback but quite a few seemed bent on picking the policy apart with bizarre questions about false positives, therapeutic use exemptions, Lance Armstrong (why can't he just go away? ), etc. A few charged that this rule was nothing but a way to keep Armstrong from ever getting into States (I'm all for keeping him out). Maybe I'm simple-minded but the policy seems straightforward-enough to me. Whatever the case, reading some of the comments, it was another display of the pattern of a growing number of self-important ultrarunners pretending we're "elite" athletes when in fact most of us are just weekend warriors who will never, ever be tested because we'll never, ever win any races. And, for those who are still freaking out over whether or not they're accidentally taking something on the WADA list that will get them a lifetime ban, here it is.